These pictures were taken through one of our upstairs windows....and that shadow in the center is a raccoon! 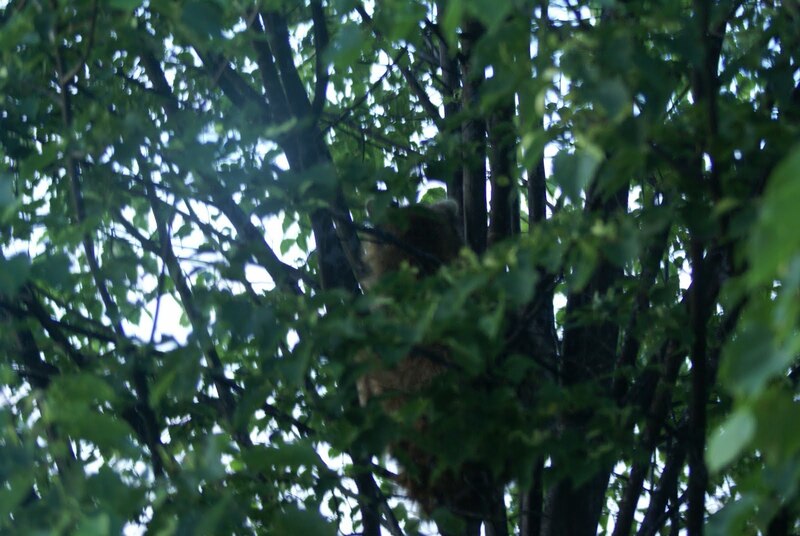 We noticed him sleeping in the tree in front of our house when we got home from work today. It was difficult to get a good picture of him through the leaves and he wasn't doing much but sleeping. When he did wake up for a bit and I was able to get this picture of him giving himself a bath. 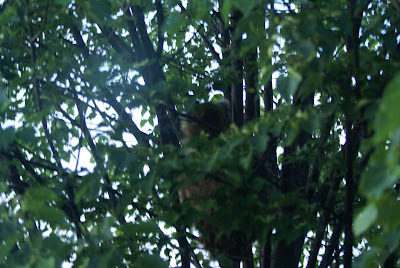 It surprises me to know this raccoon spent the day sleeping in the tree in our front yard. He's cute but I do hope he is just passing by and doesn't intend to take up residence here. Very interesting. 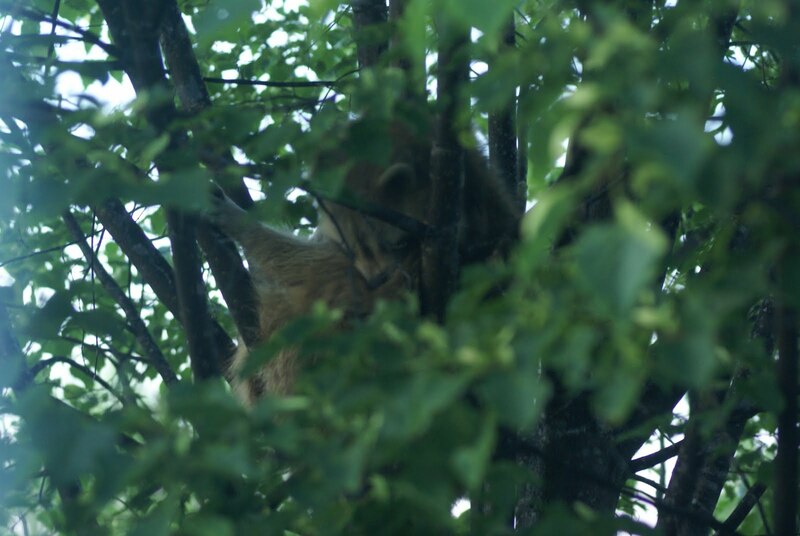 Silly me, I had no idea raccoon's slept in trees! I, too, hope he is just passing by. Raccoons may be cute, but they are incredibly destructive! Raccoons are vicious. They are known to attack and kill grown cats. They carry rabies. If you have cat food outside, they will move in and invite all their raccoon friends to join the party. My friends with the raccoon problem just returned our have-a-heart live trap after clearing out their infestation. They trapped 22 of them in their back yard over a period of 6 weeks. Animal Control hauled them away each day as they were trapped. The biggest one weighed over 30 pounds. There's nothing cute about them. Love your blog! I'm a quilter and a gardener too.